See, you thought i was crazy when i mentioned my trashbag trick! I've corrupted you! Of course, like any good "carry more in the same space" trick, you're just enabling yourself over-packing your rv now... lol. My record using this method is packing 3 man-months of laundry - 3 weeks, four people, nothing laundered until home again. With two teen boys, the REAL value to me is odorless storage *after* wearing! Thanks pretty amazing! I'll bet the laundry was, uh, ripe when it was unpacked! Um, yeah... i don't recommend pushing it that far, but I refused to waste trip time doing laundry. Wore less presentable old clothes on drive days, and despite being mostly shorts and tees it still took several days to run it all through washer once home. Considering I used trash bags, maybe some of them should have taken the victory lap and then stayed in the bags curbside...lol. Haven't found any compression bags that don't decompress after a short time. Try the Magic bags without the air valve cover. they are working well for me. 5 Months so far. Vacuum will definitely have some issues as altitude changes dramatically! Found that their are compression bags that you simply "push" the air out of...as in sit on...so that you don't need the vacuum hose (we only have a small upright with no hose in our RV). 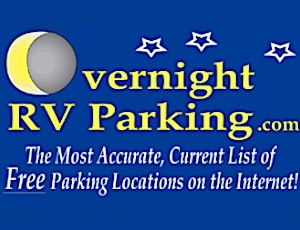 They are made primarily for travelers who may be staying in hotels, but would work well for RVs also. The stuff sacks you mention do work, but it's hard to get all the air out. See comment above about bags without valve covers working much better!